Directionally impaired at the best of times, I was challenged over and over again by the city’s winding, poorly marked streets and alleys, set on top of a subterranean road system. But to get lost in Guanajuato is to discover a destination at every turn. Even a simple corner store is likely to be housed in a beautiful colonial building. The city owes much of its physical beauty and cultural wealth to the silver mines discovered in Guanajuato State in the 1500s, which drew wealthy Spaniards to the area. Today, students are the youthful soul of the city, both foreigners studying Spanish in the city’s many language schools or locals attending the University of Guanajuato, considered one of the best in the country for performing arts. 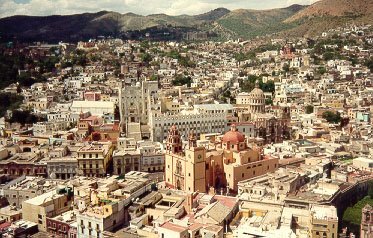 “If you haven’t been to Guanajuato, you haven’t been to Mexico,” I was admonished more than once in my two-year stay in the country. It’s an overstatement, but this unique city does embody much of the spirit of Mexico itself – a spirit that laughs at the spectre of death, one prone to finding any excuse for a celebration and to welcoming strangers into the fold. The exuberance of the city explodes into joyful mayhem in October with the yearly arrival of the International Cervantino Festival. Cervantino performances spill over from Guanajuato’s many indoor venues into open-air performances in streets and plazas. Young and old, Mexicans and foreigners, drunk and sober, all combine into a potent mix of culture and party. Contrast this burst of life with the year-round favourite haunt of Guanajuato visitors, the Museo de las Momias (Mummy Museum). Those curious for a glimpse of the macabre and Mexico’s obsession with death can get their fix at two permanent exhibits. More corny than scary is the section devoted to the “Cult of Death.” Despite a sign cautioning impressionable people and those with cardiac problems to beware, the average elementary school haunted house is slightly more frightening. We filtered past displays such as spooky holograms, torture devices illuminated with strobe lights, and a skeleton displayed under green light in a partially opened coffin – since, according to the sign, the man died of radiation exposure and to let his remains hit daylight would cause it to crumble instantly. To dismiss the museum as morbid is to miss the point. 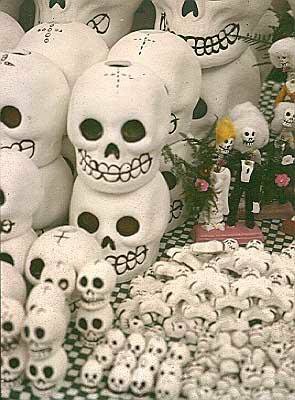 Even death has its own over-the-top celebration in Mexico, November’s Day of the Dead holiday. This is the time of year when spirits of loved ones return, marked by families creating offerings of the deceased’s favourite foods, tequila or beer, even a poem ridiculing some of the departed one’s traits. If mummies can be one of the most vivid experiences of a trip to Guanajuato, it should be no surprise that even a fictional character has taken on life here. 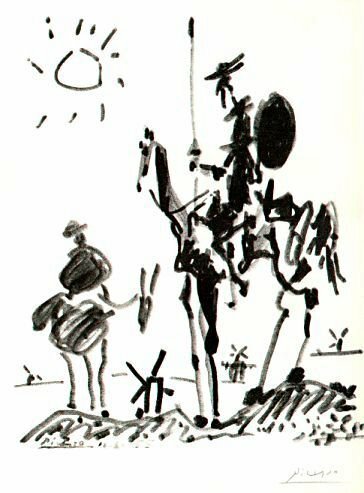 The image of Don Quixote crops up everywhere, from T-shirts to coffee cups to posters sold on the street. The reason is simple: The roots of the festival reach into the 1950s, when students from what is now the University of Guanajuato performed sketches from Don Quixote author Miguel de Cervantes Saavedra’s works. After a trip to the museum, you’ll recognize the 15th-century-era outfits worn by the estudiantinas, groups of professional musicians decked out in leggings and black velvet cloaks with gold trim. The group gathers outside the San Diego church near the Jardin de la Union at around 8:30 p.m., inviting all within earshot to follow them on a pied piper-like concert, called a cajelloneada, through the serpentine alleys. The performers sing, dance, tell stories and jokes, and force the willing crowd to clap, dance and drink copious amounts of wine. Our cajelloneada ended at the site of one of Guanajuato’s most famous legends, the Romeo-and-Juliet-esque story of the Callejon del Beso (Alley of the Kiss). 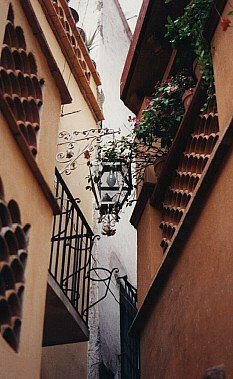 The narrowest of the narrow alleys, its most famous point is where two balconies stand less than a meter apart, allowing a person on one to lean over and kiss someone on the other. From bloody legend to bloody history: Guanajuato is fiercely proud of its role in the 1810 War of Independence. Home-grown hero El Pipila – Juan Jose de los Reyes Martinez – was a miner who torched the Alhondiga de Granaditas grain storage building during the insurrection, killing the 300 Spaniards barricaded inside. He is commemorated with a mammoth, hideous statue overlooking the city. Callejon de Calvario leads intrepid walkers up to the El Pipila statue, or local buses run frequently from the Plaza de la Paz. Forget the monument – the view from its base is incredible.